Although the news that he had been appointed captain of one of hockey's most storied clubs came out days before the official announcement, it didn't diminish the importance and significance of Gionta taking over the role. It's been just over a year since he had the ‘C' sewn on his sweater, but for the veteran of nearly 650 regular season NHL games, the honour is still just as meaningful. More of a lead-by-example type, rather than stirring up his teammates with fiery speeches, the New York native, who was the 82nd overall pick of the New Jersey Devils in the 1998 NHL Entry Draft, Gionta is hoping this year will see the Habs go further than the first round of the playoffs, after they were sent home after the Eastern Conference quarter-finals in 2010-11. The added pressure of being the captain in a city where expectations are always lofty isn't lost on Gionta. But the 32-year-old isn't fazed. While both he and the Canadiens have had to deal with tough starts to the 2011-12 campaign Gionta, who played with Boston College from 1997 to 2001, winning a national championship as Eagles' captain in the 2000–2001 season, is keeping his chin up as Montreal looks to net their fifth consecutive playoff spot. Gionta also knows just how meaningful each and every point is. If his own statistics are any indication of what's in store for Montreal this season, a post-season berth is likely. Gionta hasn't missed out on the playoffs in each of his first nine NHL campaigns, appearing in 93 playoff games while registering 60 points. 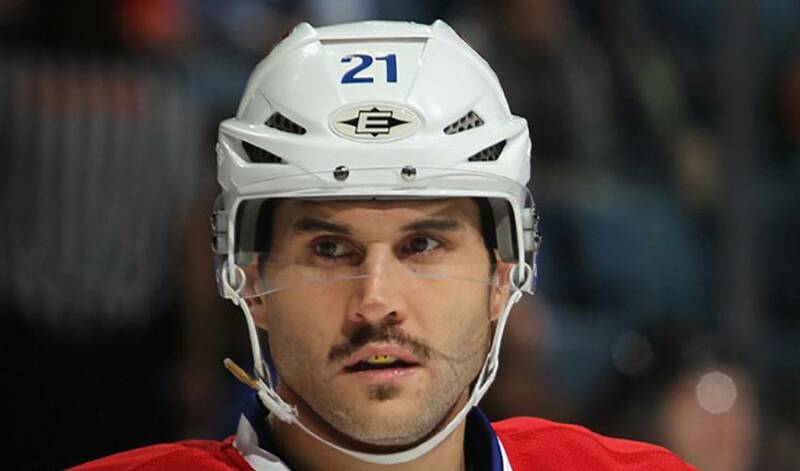 Gionta, who was the 1999 recipient of the Bob Johnson Award for recognition of excellence in international hockey, is very much the same person as he is player. Even in the moments where some might be rattled, Gionta never panics, instead looking at how he can remedy the situation. A guy who can never be counted out, especially when it matters most.